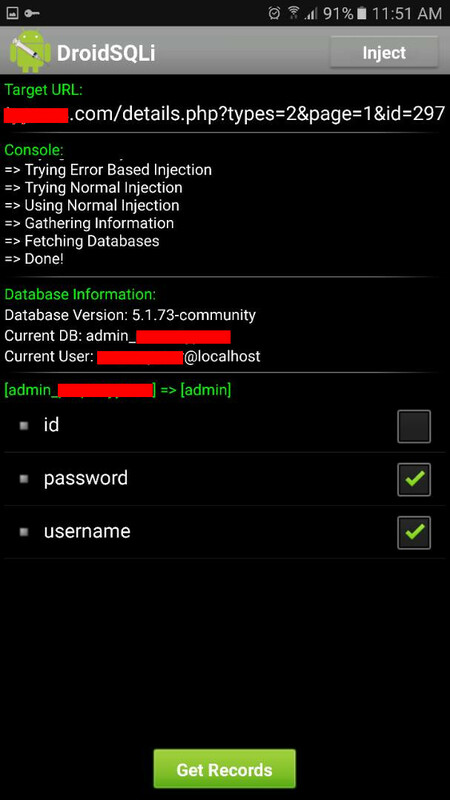 DroidSQLi is the first automated MySQL Injection tool for Android. 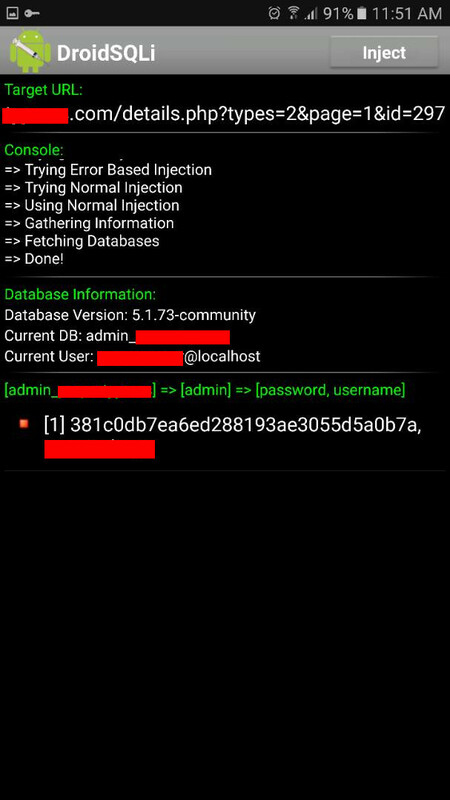 It allows you to test your MySQL-based web application against SQL injection attacks. It was released on April 2013 and later suspended by Google due to the serious damage that could be caused by people using it for non-educational purposes. You can find many videos on YouTube of people using it. It automatically selects the best technique to use and employs some simple filter evasion methods. The latest version (1.1) can be downloaded from here. A small tool written in PHP making use of Facebook servers to scan a given file and detect whether it is a malware. You need a Facebook account to run this tool. We don’t suggest you use your own. Instead, get an auto-generated account from here. The code is provided on GitHub. Under the umbrella of surveillance programs and lawful interception, espionage systems are built and operated around the world. Such systems are mainly composed of three components: 1) Exploit delivery, 2) Exploitation, and 3) Data storage and retrieval. A large number of state-sponsored attacks have been uncovered recently by a number of whistleblowers and hacking groups [1, 2, 3, 8]. These types of attacks are characterized by sophisticated exploitation techniques and the use of zero-day vulnerabilities. When remote exploitation is not feasible, exploit delivery is needed. In this article, we cover a recent technique, known as man-on-the-side (MOTS), for exploit delivery. We then describe an attack scenario on WhatsApp, and show how would the recently discovered DirtyCow vulnerability  be used to steal WhatsApp conversations without requiring elevated privilege or root access on the target device. 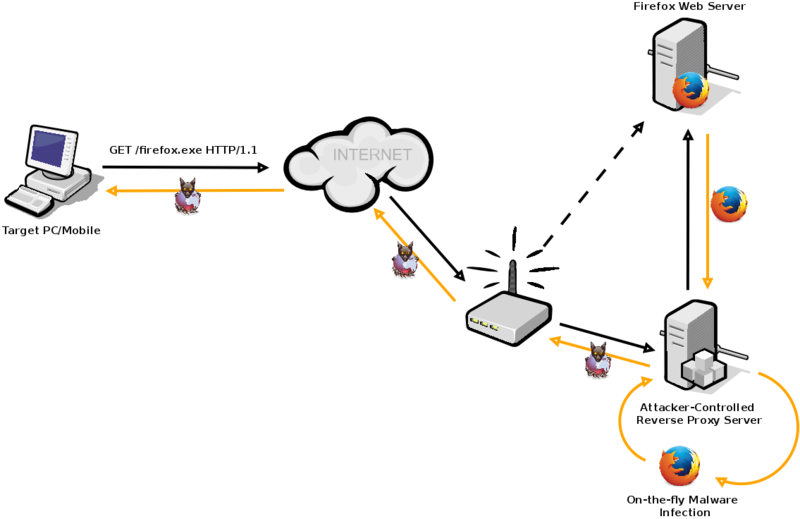 The target could be automatically redirected to a fake web server that claims to be the real one (figure 1). While this might be less used, it can still be considered as a valid scenario. Figure 1. DNS based MOTS attack. 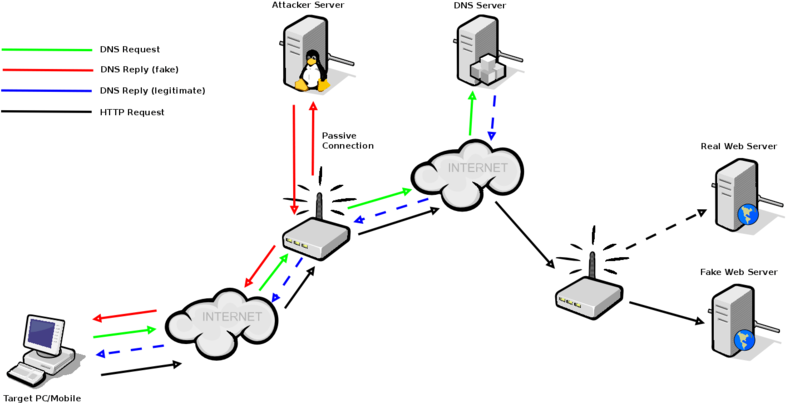 The target could be redirected to an attacker-controlled proxy server which relays the traffic on his behalf, and injects a HTTP cookie in the server reply (figure 2). The injected cookie will then be used by the user for all subsequent requests. This could be useful to uncover anonymous identities on the TOR network. Figure 2. HTTP cookie injection via MOTS. This could also be used to prompt for malware download or exploit specific browser and operating system zero-day vulnerabilities on the target machine. The target requests a file for download. The request is intercepted by the attacker. The file is downloaded on behalf of the target. On-the-fly malware infection is performed. The injected file is returned back to the target. MOD systems can target multiple platforms with support of different executable types (EXE, APK, IPA, etc…). The main targets are un-encrypted and unofficial third party repositories of software and mobile apps (e.g., Mobogenie ). Figure 4. Malware on demand (MOD). The malware-on-demand (MOD) mechanism discussed previously allows delivering malicious applications to android based mobile phones. Once installed and run, these malicious apps could exploit zero-day vulnerabilities, which would allow them to perform privilege escalation (e.g., gain root access) and execute arbitrary code on the device. Under normal circumstances, the target user would be unaware of the malicious activities taking place on his device, since everything will be running in background. 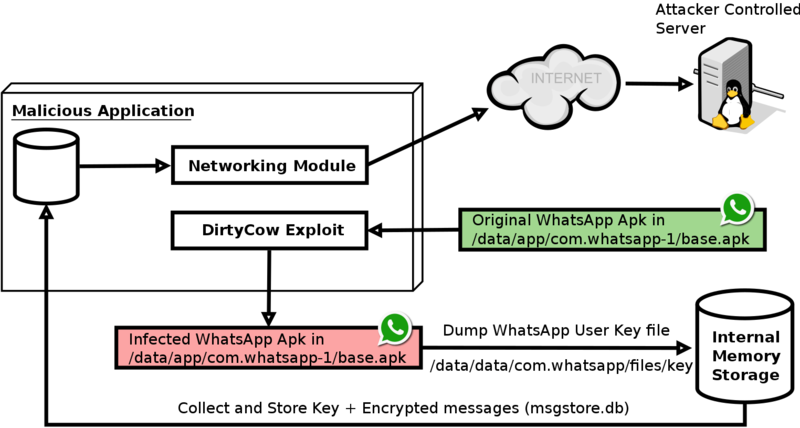 In this section we discuss how would a malicious application exploiting the DirtyCow vulnerability  be able to steal all WhatsApp conversations from a target device, even without gaining root access. DirtyCow is a Linux vulnerability inherited by Android. It is caused by a race condition in the implementation of the copy-on-write mechanism in the kernel memory management subsystem. In other words, it can be used to overwrite read-only files. While it can be easily exploited to gain root access on an unpatched Linux system, it remains a bit tricky on Android. In our proposed scenario, no root is needed to steal WhatsApp conversations from the target device. Whatsapp stores these conversations in a SQLite database on the internal device storage. Because this storage can be accessible by all other applications, Whatsapp encrypts the database using a key file stored in its home directory. Only WhatsApp has access to the key file, meaning that only WhatsApp is able to decrypt the database holding the conversations. The proposed idea is to exploit the DirtyCow vulnerability in order to overwrite the WhatsApp APK with a new version that would be used to dump the encryption key file to the internal memory storage (figure 5). 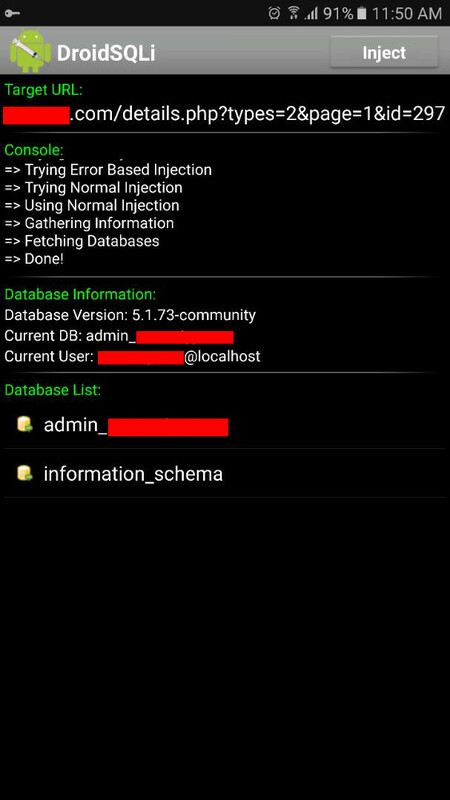 The malicious app will then be able to collect the key and the database (msgstore.db) from the memory storage and send them to an attacker-controlled server. Or instead, the conversations could be decrypted on the device and sent as plain-text to the attacker. This attack scenario is depicted in figure 5. Figure 5. 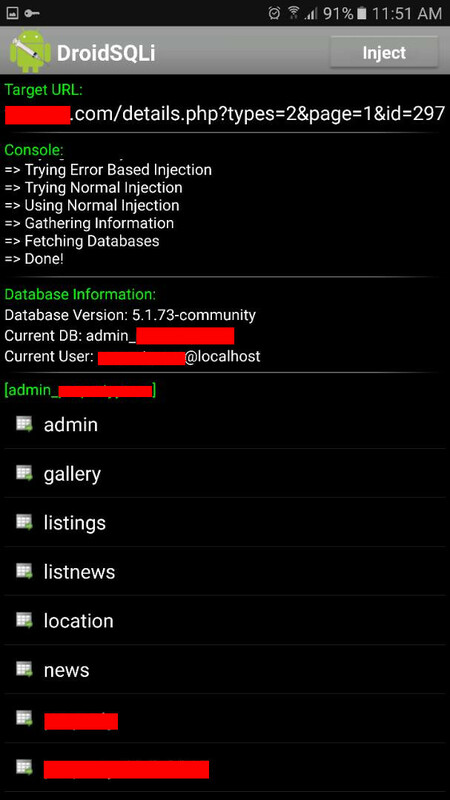 WhatsApp exploitation scenario via malicious APK equipped with DirtyCow . Cayford, M., van Gulijk, C., & van Gelder, P. H. A. J. M. (2015). All swept up: An initial classification of NSA surveillance technology. van der Vlist, F. N. (2017). Counter-Mapping Surveillance: A Critical Cartography of Mass Surveillance Technology After Snowden. Surveillance & Society, 15(1), 137. WikiLeaks, (2017). Vault 7: CIA Hacking Tools Revealed, https://goo.gl/QWA4Cz. Dirty copy-on-write vulnerability. (2016). DirtyCow, https://dirtycow.ninja/. Hjelmvik, E., (2015). China’s Man-on-the-Side Attack on GitHub. NETRESEC, https://goo.gl/209fCq. Schneier, B., (2013). 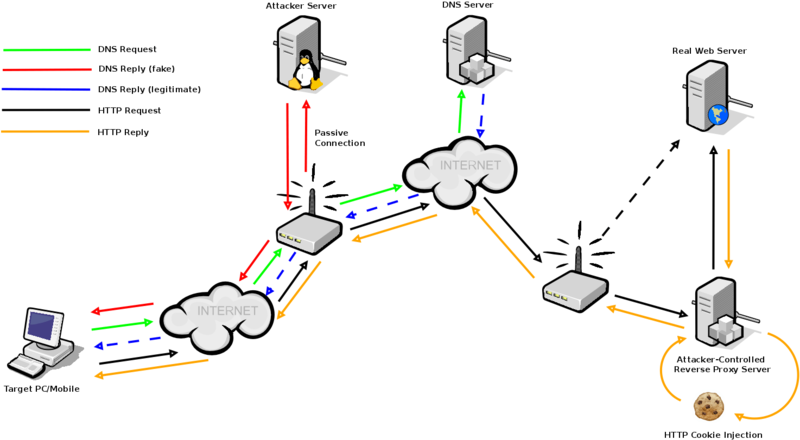 Attacking Tor: How the NSA Targets Users’ Online Anonymity. The Guardian, https://goo.gl/LmGz6m. Mobogenie Market for Android, http://www.mobogenie.com/. Hern, A., (2015). Hacking Team hacked: firm sold spying tools to repressive regimes, documents claim, https://goo.gl/X7mGrH.